Around 7pm last Thursday I felt a pain like one I'd never felt before- an intense burning ache shooting out of my vag right after I peed. I was so shocked I almost jumped off the toilet. Did I drink glass without noticing, I wondered. I started to plot what hospital I would have my boyfriend drive me to or maybe we'd take a taxi. I winced when I thought of the emergency room bill. Perhaps it'd just be better to die. After peeing another two times with the same intensity of pain, but also without dying, I pulled myself together and hopped on the internet. 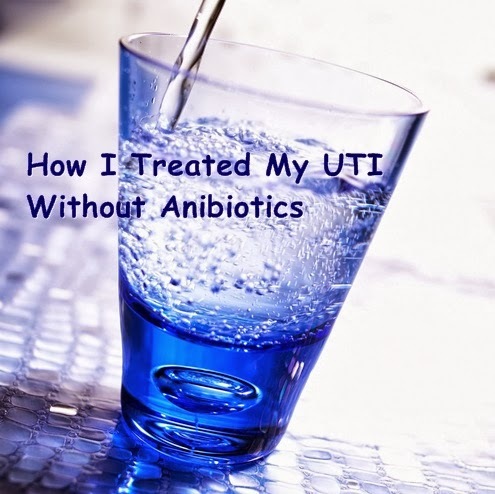 A Google search of "burning when I pee" quickly uncovered that I had a urinary tract infection (UTI). Apparently this is a very common condition for women, one I managed to avoid for 30 plus years, but I guess my luck ran out. That and I probably reached the tipping point for the number of times you can absentmindedly wipe in the wrong direction without paying the proverbial piper. Since Obamacare doesn't kick in until 2014, I decided to take matters into my own hands. Instead of taking antibiotics (which always give me a yeast infection anyway), I drank water. Lots of water. I drank 4 pints when I woke up and drank another pint every hour. I noticed that the pain felt less and less intense with each passing hour. By 7pm Friday I felt right as rain. The only time I experienced any pain after that was the next day when I had to hold my bladder for about half an hour before we reached a public restroom while on a road trip. Still, I've been continuing to drink lots of water. I've even added some pure cranberry juice to my daily routine. It tastes horrible, but nowhere near as bad as a UTI feels. Disclaimer: I'm have absolutely no medical or scientific training beyond 10th grade biology. Though I did get an A, the information in this post is not meant to replace the guidance of your physician. This post is purely to share my personal experience. If you experience UTI symptoms for more than 48 hours, I beg you to see a doctor. Have you ever had a UTI? How did you treat it? This is great info! I hate taking medicine, so any naturally way to treat something is good for me! I have also heard that cranberry juice is a good way to keep the UTIs away! Thanks for the comment Ashley. I hope that drinking cranberry juice regularly will help keep the UTI monster away. I so don't want to ever have this happen to me again! First off, sorry to hear that the dreaded UTI has claimed another victim. I've been getting them intermittently since I was about 18. For whatever reason, I'm prone to them (and I even always wipe the right way - wtf). Anyway, I've never treated it with just water. I've always had some form of antibiotic (of which the most common one used to treat UTIs I'm allergic; isn't it ironic?). Maybe next time I get one I'll try the water method. It definitely beats gulping down a huge pill (or having to ask my doctor for the kids' liquid kind because I'm a big baby). Glad to hear it worked so well for you!! thanks for the compassion Kym! Sorry to hear you get UTIs. They are the worst!!! Yeah, totally try water next time. Of course if you notice it getting worse instead of better, go to a doctor, but really there's nothing to loose by trying this.